Fun at the Fair 2018! The school was buzzing with excitment as the Scholastic Book Fair arrived in school on Tuesday 6th February. We opened the bookcases to discover over two hundred new titles & lots of our favourite authors! There were books for all age groups & interests. 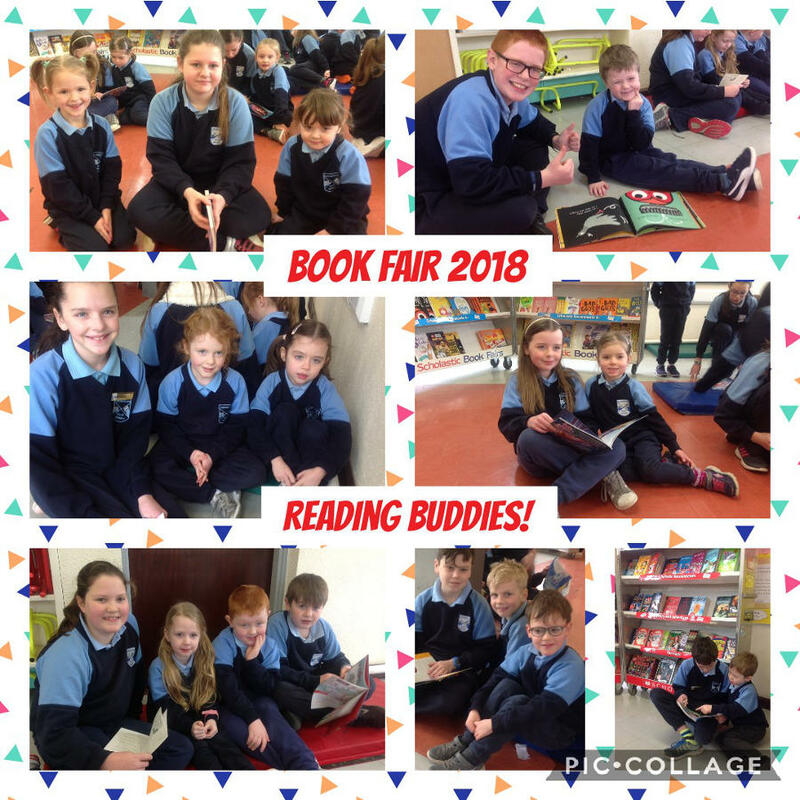 All of the children loved the week long reading event, and looked forward to their time at the fair each day. It generated great enthusiasm for reading! 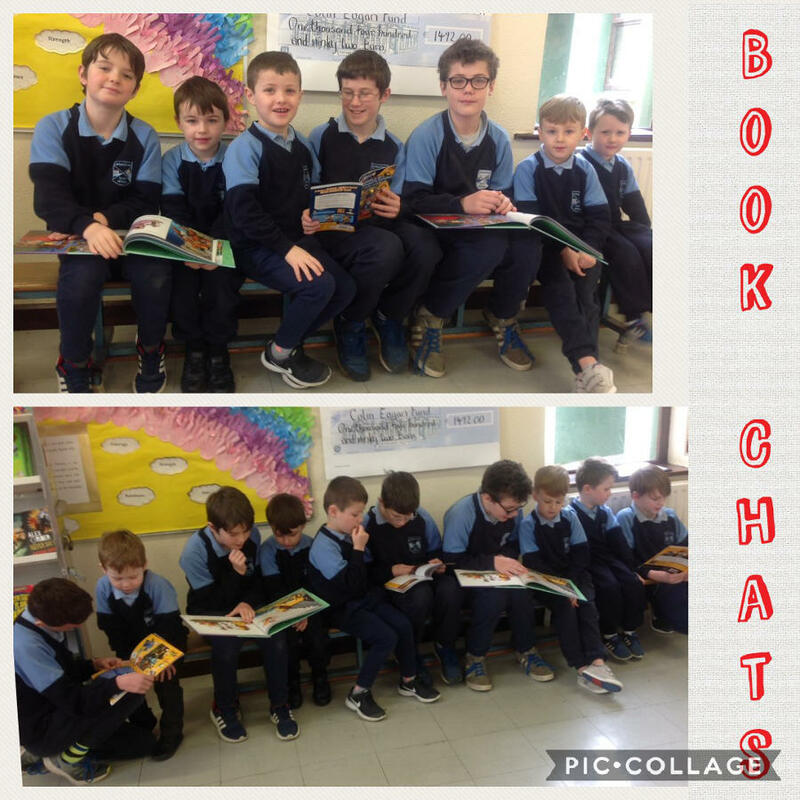 'Reading Buddies' time between 5th & 6th class & Junior & Senior Infants was a huge success! 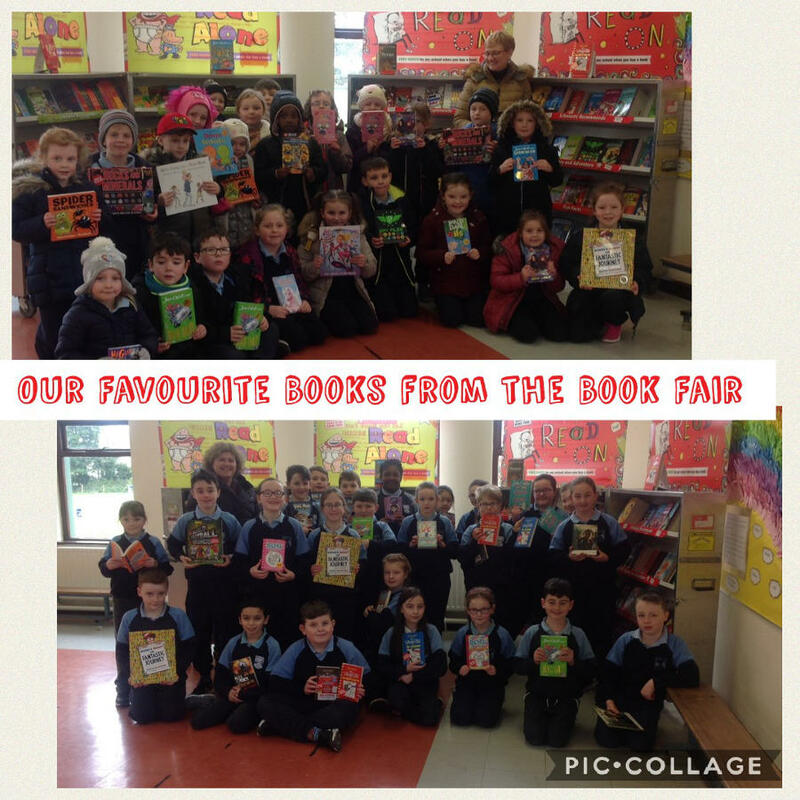 We would like to thank all The families who visited the fair each afternoon and bought books. We sold €1200 worth of books over the course of the week which generated €620 in commission for the school. We will use the commission to replenish our class libraries with new & exciting titles!